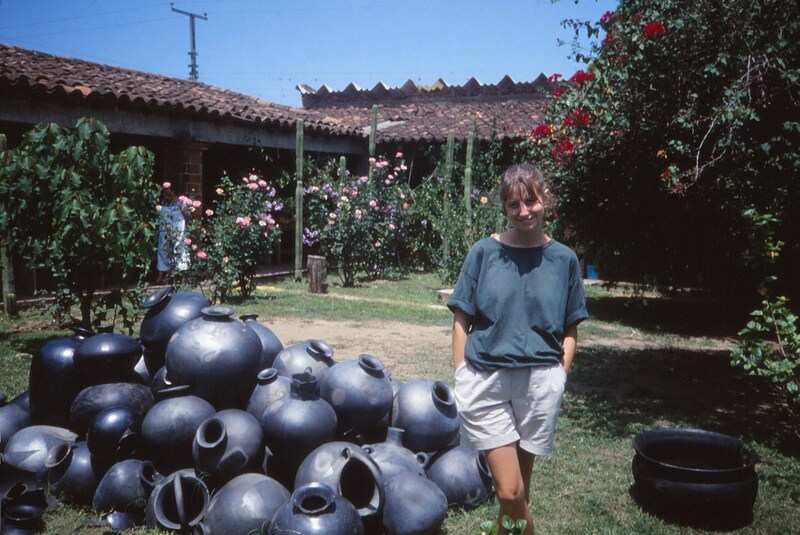 It’s a Thursday in July and the sunlight, coppery at dawn, edges over the windowsill and crawls through the rooms, alighting on a molcajete, a Mexican mortar and pestle which sits in the kitchen. Its stone, momentarily aglitter, reminds me of other objects in the house – the sombrero from Guadalajara and the black clay vases from Oaxaca in the basement, the collection of old ranchero CD’s in the office, the Mexican blankets in the upstairs closet, the books by Juan Rulfo and Octavio Paz in the home classroom where I’ve taught Spanish for two decades. These objects, accumulated over the years, seem to me like artifacts in a museum, proof of a love life people warned me not to live. ¿Y por qué quieres estudiar español? And why do you want to study Spanish?’ The voice of one of my first and beloved university Spanish professors comes back to haunt me. ‘Porque mi novio es mexicano. Because my boyfriend is Mexican.’ I remember my elation at being able to learn Spanish after coming from a secondary school which hadn’t offered it. 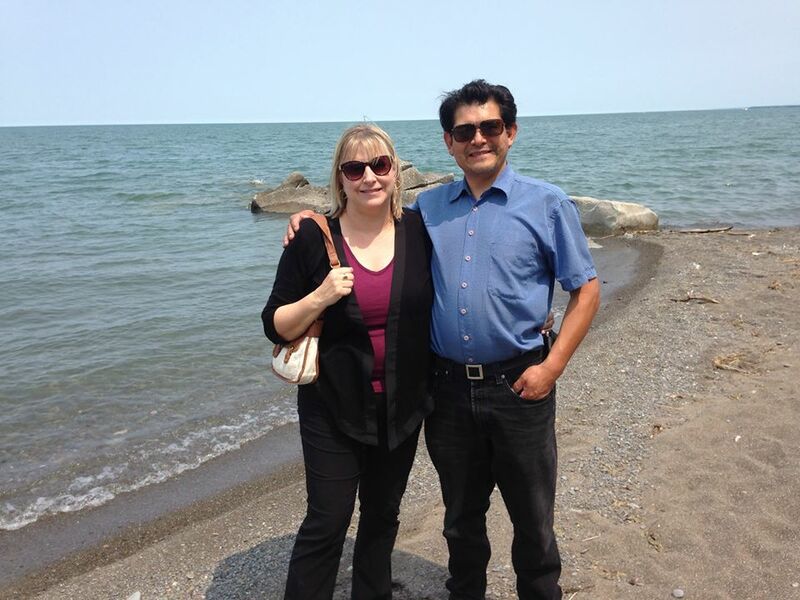 Finally, if I put my mind to it, I’d be able to communicate with the friends and family of Francisco, my boyfriend of two years who’d come to Canada from Michoacán at the age of seventeen. ‘¿Un mexicano? A Mexican?’ The professor, all 90 pounds of her, dressed to the nines in Chanel, narrows her eyes and taps her perfectly manicured nails on the desk. ‘¡Cómo vas a sufrir! How you are going to suffer!’ She then proceeds to warn me, eyes still narrowed, voice a fraction above a whisper, of el sufrimiento awaiting me if I should continue with el novio mexicano. But I’m young and I’m in love so, faithful to youth and love, I ignore the warnings, warnings that would be repeated by others in the early years of our relationship. After that initial announcement, I went on to study English and Spanish at university, followed by a degree in Spanish/English education with a stint at La Universidad Autónoma del Estado de México in Toluca. 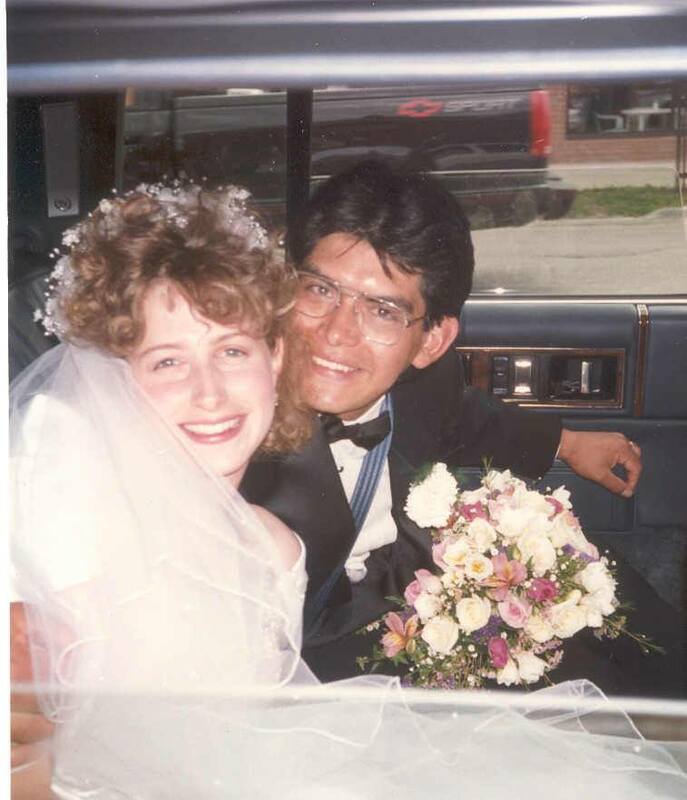 Francisco and I were married in 1992 and have three children – a girl and two boys – all in their teens now. To accommodate our family, I wrapped my Spanish education business like a rebozo around the raising of three children, planning my lessons while they were at school and teaching in the evenings. Any challenges we’ve had as a couple or as a family are those anyone would have; they are universal. And the Mexican half of the motor which runs this love – the relentless work ethic, the devotion to family, the understanding that we have no choice but to co-exist with death, the parties, the wacky Cantinflas sense of humour and the odd splash of tequila for a stomach ache – are the secrets to our survival. When push comes to shove, it is Mexico that saves us. Whether the flower our daughter tucks in her dark hair when she’s sad, the bright colours she uses in her paintings, the tortilla soup that warms the children in our Canadian winters, the candies raining from piñatas in December or the ranchero music which soothes Francisco after a hard day’s work, Mexico is a healing influence. The Mexican part of my husband is the strongest, most poignant part. He sets out through the city to meet and help our children with one thing or another in the same way he set out through the hills of Michoacán in his boyhood. He works the way he did as a child. Almost everything he does is an echo of his Mexican upbringing. When I see the same distinctly Mexican determination flash through my children’s deep brown eyes, I feel peacefully joyful. And as for me? The hours when I get to teach Spanish are among my happiest hours and still, in middle age, I find myself tinkering with Mexican customs and cuisine – admittedly at times with my wonky Anglo ways – always learning something new. Rosemary Davison was born in England and moved to Canada in 1977. She has a B.A. in English and Hispanic Studies, an M.A. in English and a B.Ed. in English and Spanish. She has taught Spanish in Ontario, Canada since 1994. She and her husband have done quite a bit of travelling in Mexico and their last trip with their three children was in 2006. 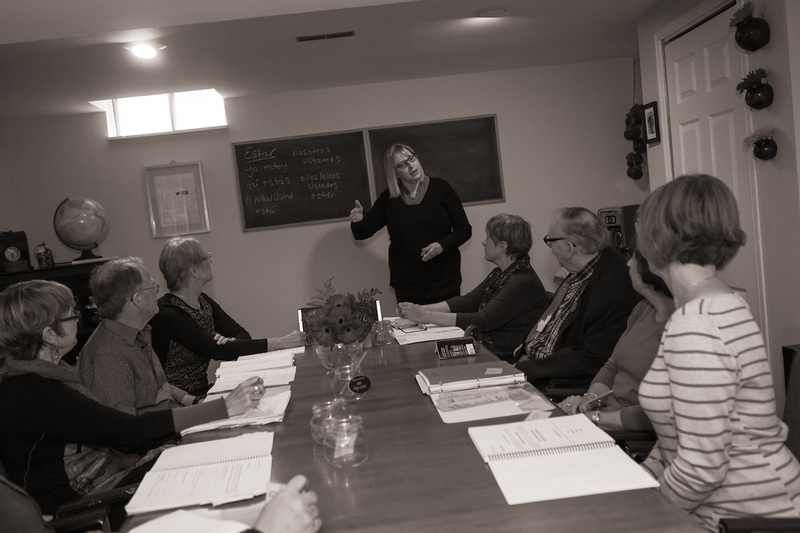 Her Spanish school Mirasol Spanish Education offers Spanish lessons for adults and teens in the Greater Toronto area. I know, so so beautiful written. I love her writing!